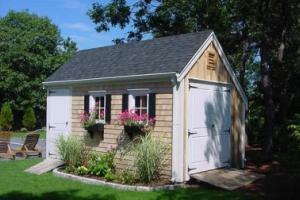 Garden and storage sheds built on site and do-it-yourself shed kits. 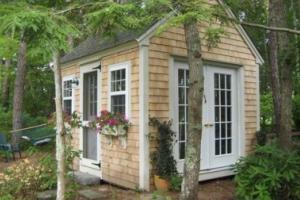 Need a garden shed or storage shed on Cape Cod, Nantucket or Martha’s Vineyard? 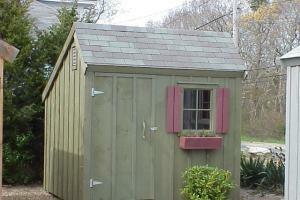 Fill out the quick form below and get estimates on your barn, shed or outbuilding project from local Cape Cod shed companies. 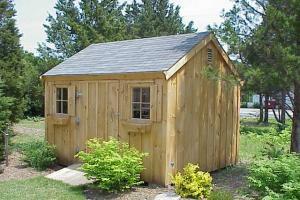 Choose from an endless selection of premium quality outdoor buildings and custom options. 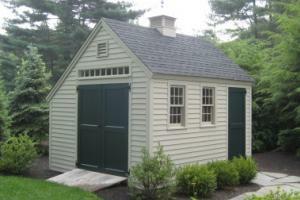 From our Classic post and beam sheds to larger custom buildings, your new shed can serve a multitude of uses. 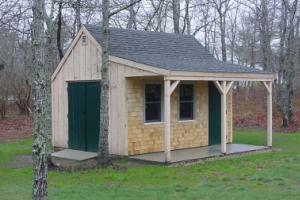 In addition to storage, your new building can be used as a studio, cottage, bunkhouse, woodworking shop, craft and hobby barn, home office or simply a backyard getaway. Pick and choose from many different sizes and styles of buildings, door and window configurations, roofing, siding and trim options. 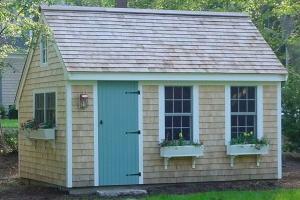 Custom sheds are our specialty. Not in the Cape Cod area? 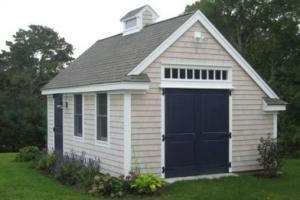 Download our post and beam shed plans and buyer's guide. 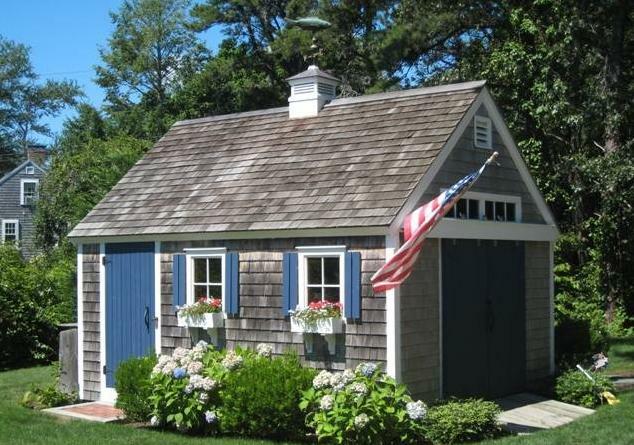 Classic Cape Cod sheds available in the traditional even pitch, Cape Cod style or our Saltbox style design. All shed kits are pre-cut for easy assembly. Framing and boarding is all full dimension Eastern white pine lumber.